Dimensions 1.50 by 6.75 by 9.75 in. Technological innovations; Economic aspects; United States. The great challenge of these times is to ensure that the tremendous benefits of technological progress are employed to serve the whole of humanity, rather than to enrich the wealthy few. Robert W. McChesney and John Nichols argue that the United States needs a new economy in which revolutionary technologies are applied to effectively address environmental and social problems and used to rejuvenate and extend democratic institutions. Based on intense reporting, rich historical analysis, and deep understanding of the technological and social changes that are unfolding, they propose a bold strategy for democratizing our digital destinyÂbefore it's too lateâand unleashing the real power of the Internet, and of humanity. 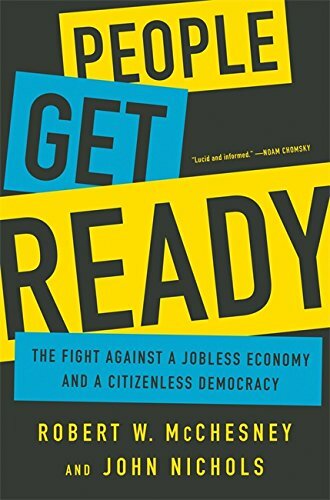 About: Humanity is on the verge of its darkest hour—or its greatest momentThe consequences of the technological revolution are about to hit hard: unemployment will spike as new technologies replace labor in the manufacturing, service, and professional sectors of an economy that is already struggling.